Many entrepreneurs say the skills shortage is starting to bite as businesses are struggling to find workers they need to meet the growing demand at a time of medium to low unemployment. There are shortages across a wide range of sectors from tourism to IT and to plumbers and masons. There simply aren’t enough people for all the roles that are out on the market. The construction industry especially needs increasing numbers of workers to keep up with the demand. These workers, namely masons, tillers, painters, bar-benders, welders, plumbers, riggers, etc., are hard to come by in the industry. This is largely due to the record boom in infrastructure development resulting in the construction industry growing by record levels. We have begun to see pockets of foreign labour, Chinese, Bangladeshi and possibly Indian construction workers on many sites. Thankfully there is now a commitment to increase the number of students entering universities and the TEVT sector by 2020 by allocating more funds for higher education and vocational training. The current intake to Government universities is around 25,000 per year. Nearly 60% (150,000) of the students, who sit for the exam satisfies the minimum requirement, cannot enter the universities. While this proposal is certainly a positive move, the challenge however would be to improve the teaching quality and the curriculum of the Government universities. To teach four times as many undergraduate students, would require additional faculty and high quality investments to build better infrastructure. If the pool is unchanged, curriculum not revised and facilities not modernised, the increased demand will result in lower-quality faculty being hired and the education system would deliver poor quality graduates. Faculty quality is the principal determinant of university quality. Therefore, the Government needs to create career opportunities to attract, develop and retain good academics. In a competitive global world if a nation does not continually improve its system of higher education its relative performance will decline. In the medium term this is likely to show up in reduced economic competitiveness. 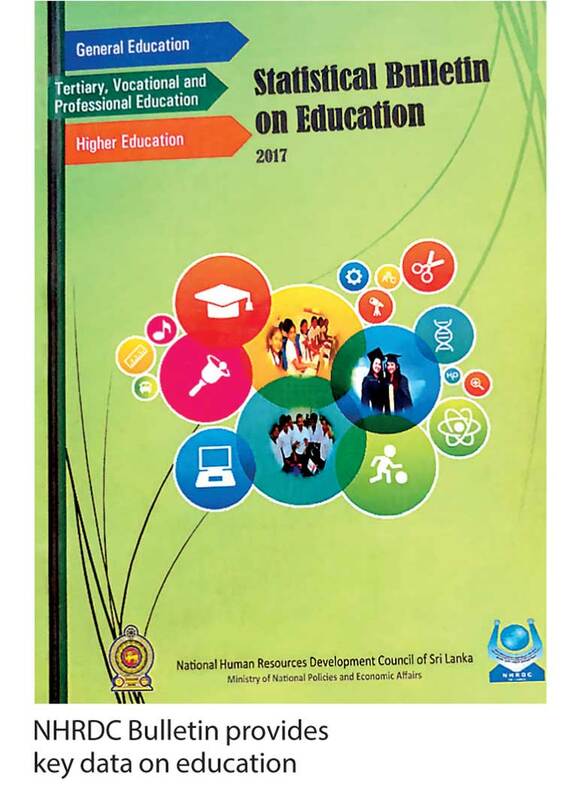 Sri Lanka’s public expenditure on education stands around 2% therefore by increasing this spend and disbursing it effectively the country can improve its labour productivity. However, simply increasing public spending on education would not serve any purpose, if the country does not change its curriculum and style of teaching to suit a modern economy. Sri Lanka’s current labour productivity is low compared to many industrialised countries. Therefore there is little debate about the need to improve the quality of university education in Sri Lanka. For years official data show a majority of the graduates in the Arts stream are unemployable. But we continue to invest to run those degree courses. Their career path is that of conducting street protests and then getting absorbed into Government service. The key to improving labour market competitiveness in the economy lies in raising human resource capabilities; that is, to make appropriate investments in human capital through higher education and professional training in order to more efficiently generate and manage new technologies to create wealth. In this new era of intensified globalisation and international competition, we can no longer rely on cheap labour to gain competitiveness. We must continue to invest in our human resource, since the high growth industries of the future such as the information technology (IT) and biotechnology industries, require an increasingly skilled labour force. Lessons learned from other successful countries in attracting FDI indicate that the ability to create a skilled human resource base is crucial for multinational companies to relocate firms and world class high-tech plants to new markets. Today the most mobile people are the skilled, and they are sought after. Most governments are easing restrictions on the entry of qualified people. For a start the Government should focus on wooing our highly-skilled professionals working abroad by making it very attractive for them to come back by creating stability. The Government’s move to offer dual citizenship has worked very positively, however other benefits are required in the next Budget proposals to entice back some of our top Sri Lankan expatriates who have gone abroad to make their money, but still feel the tug of their home country to return. Therefore we need to be more imaginative about attracting our trained talent abroad and developing and retaining our skilled talent that we have in Sri Lanka. To achieve that we need a framework to strengthen the overall governance in the country, a framework that provides a way of looking at the skills and abilities of our people, and how these skills can be used successfully to create wealth for our country.